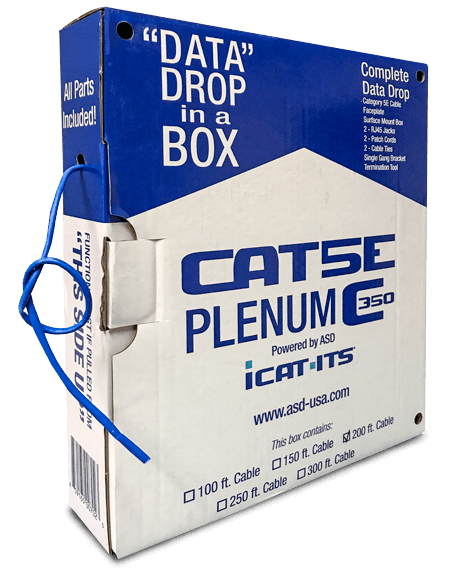 DATA DROP in a BOX is a unique and innovative cabling solution. It is ideal for a single or double cable install. The cable is ASD's own iCAT brand and comes with a lifetime warranty. This is the ideal product for contractors who visit dozens of job sites or DIY-ers who want to run a cable in their homes. DATA DROP in a BOX has everything you need, and nothing you don't. All of these supplies you need to run a cable are inside the easy to carry box. This makes getting the job done quicker and easier than ever before.